Homemade ricotta ravioli has a tender bite and delicious flavor you can't duplicate with pre-made raviolis. You can use plain ricotta in the center for a basic ravioli, or you can spice it up with herbs and flavors. However you choose to adorn your ravioli, making it homemade is well worth the effort. Making pasta is easy. 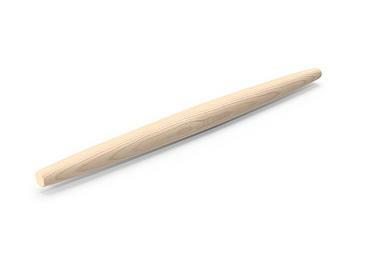 While a pasta roller is your best option, you can also create pasta using a rolling pin. The texture will be slightly different, but not enough to worry about provided you are able to roll the pasta thin enough with your rolling pin. 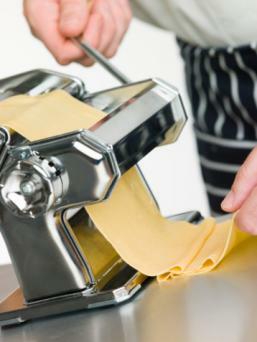 Likewise, you can purchase fresh pasta sheets and use those in your recipe. Combine the flour and salt, mixing well with a fork. Place it in a mound on a Silpat, board, or pastry cloth sprinkled with additional flour. Make a well in the center of the mound and add the eggs to the well. 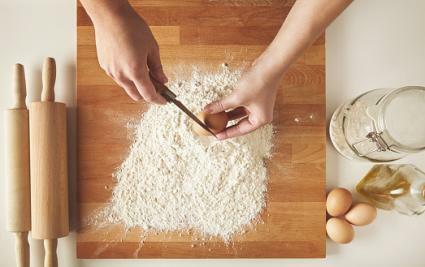 Now, knead the dough ball with your hands, incorporating the remaining flour (if necessary) or adding more flour until the ball is smooth and elastic. Knead for three minutes more. Wrap the dough in plastic and allow it to rest for 20 minutes at room temperature. While the pasta dough rests, mix the filling. 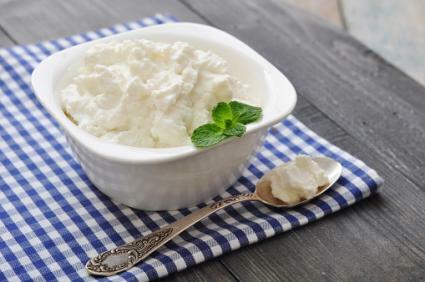 You can use plain ricotta, or you can use the recipe below. Combine all ingredients in a medium bowl, mixing until well combined. You can use a pasta roller or a rolling pin. Split the pasta into four pieces. Working one piece at a time, start with the roller on the highest number/widest setting. Knead the dough ball a few times. Gently flatten it with your palms, and sprinkle both sides with flour. Roll the ball slowly through the pasta roller on the thickest setting. Fold the dough in half. Move to the next thickest setting. Sprinkle the dough with flour if it is sticking at all. Roll the dough through on that setting. Continue folding in half and rolling through the rollers on increasingly low settings until you get to the thinnest/lowest number setting. Roll the pasta through a final time. Continue with the three remaining pasta dough balls. You'll need a long, thin rolling pin here, such as a French-style rolling pin, which has good touch control and will allow you to roll a wide, thin sheet. Sprinkle your surface with flour. Divide the dough into two even pieces. Cover one with a damp towel and set it aside. 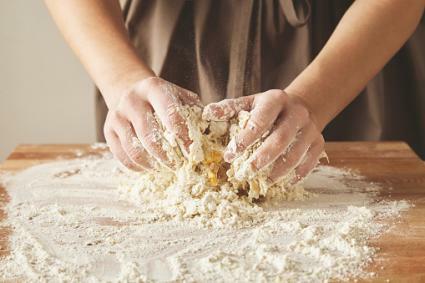 Using the rolling pin, roll the pasta dough into a long, thin rectangle that is about 8 inches by 16 inches, sprinkling with flour if needed to prevent sticking. The pasta should be quite thin - about 1/8 inch thickness or less. Roll both balls into the same size. You'll need the ricotta and a beaten egg to fill the ravioli. You'll either have two or four sheets of pasta, but the method is the same for either. Working in two teaspoon sizes, spoon the ricotta onto one of the sheets of pasta (or two if you have four), leaving about 1/4 inch of room around all edges of the filling. Brush around the edges of the filling with the beaten egg. Lay a second sheet of pasta over the top of the sheet mounded with the filling. Firmly press the pasta around the filling and the edges of the sheets, pressing the pasta sheets together without squishing the filling. The egg will act as glue. 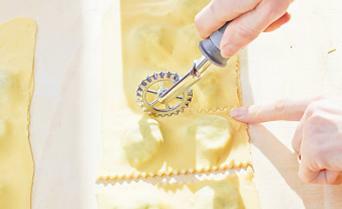 Use a ravioli cutter to cut the ravioli into pieces around each batch of filling (see image). If you don't have a ravioli cutter, you can use a sharp knife, If using a knife, pinch around the edges of each piece of ravioli to ensure it is sealed. Boil the ravioli in salted water. In a large pot, bring water and a half teaspoon of salt to a boil. Add the ravioli. Boil it until the ravioli floats, two to four minutes. You can serve with your favorite pasta sauce, or toss the warm pasta with the brown butter sage sauce listed below. In a saute pan on medium-high, melt the butter. Add the sage leaves. Cook, swirling the pan occasionally, until the milk solids in the butter brown, five to seven minutes. Add the salt, cheese, pepper, and ravioli. Toss to coat the ravioli with the sauce. You can store uncooked homemade ravioli in the refrigerator in a tightly sealed container or zipper bag for up to three days, or in the freezer in a zipper bag for up to 12 months. Ravioli is a family favorite, particularly when it is homemade. 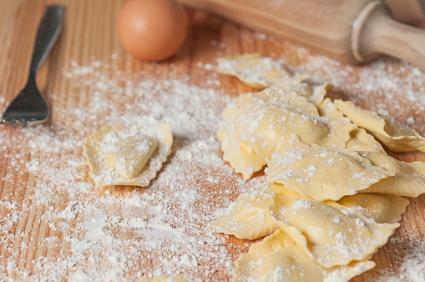 Try making this simple ricotta ravioli for a dinner your entire family will enjoy.